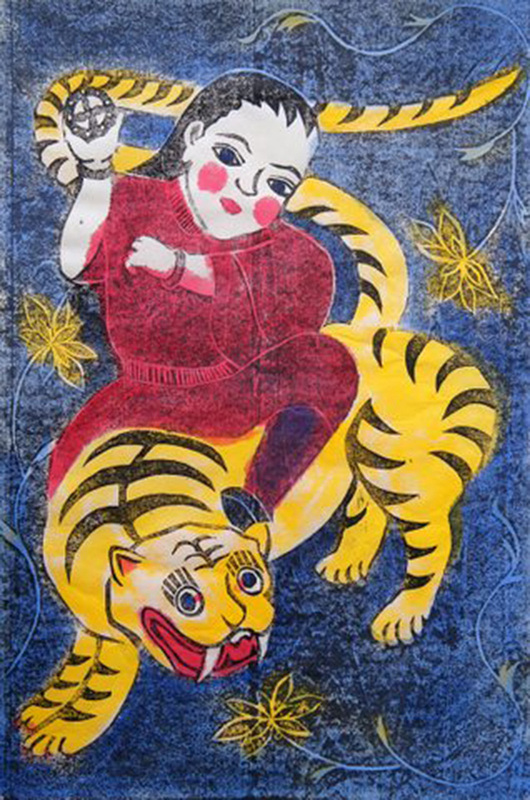 Course Description: Enjoy a maker-friendly, improvisational style of woodblock printmaking developed by 20th century Japanese artists. This technique yields an accurate translation of your design (including text), and allows you to make prints without a press and without the rigidity of “editioning”. Sosaku hanga means “self-carved, self-printed,” as opposed to traditional Ukiyo-e or Shin-hanga, in which there is a separate artist, carver, and printer. Students will learn how to prepare a board, make and attach a preliminary drawing, carve the block, establish an easy registration system, apply sumi ink or water color, and print with by hand using a baren. There will be plenty of inspiring examples to view and students should expect to come away with an appetite for enjoying more sosaku hanga! Students will need to provide their own cutting tools. Tool recommendations will be provided at the time of registration. About the Instructor: From the time Jean saw her first Hiroshige woodblock prints (around age nine), she was fascinated with Asian culture and with the art of printmaking. After getting an M.A. in English, she taught Humanities and studied lithography. She moved to Japan in 1999 to teach English, and studied with a sosaku hanga printmaker for almost ten years. The style of printmaking she learned allows her to make one unique print at a time, often with elements of monoprinting. Returning to the US In 2009, she was one of the founders of the Longfellow neighborhood art crawl (LoLa), which now has over 120 artist participants.